The European Parliament adopted the controversial Copyright Directive by 348 votes in favour, 274 votes against and 36 abstentions. Today’s vote marks the end of years of debate in the European Union. Heated discussions about the introduction of upload filters ended up in protests of tens of thousands people in the streets all across Europe. In a last minute action back in September 2018, the European Parliament adopted an amendment and pushed it through the trilogue to at least protect Free and Open Source Software. “We are glad we were able to raise awareness and understanding of what drives software development in Europe nowadays among many policy makers. The exclusion of Free Software code hosting and sharing providers from this directive is crucial to keep Free Software development in Europe healthy, solid and alive. we are dismayed that the EU missed the opportunity to renew copyright to a reasonable extent. As upload filters are now introduced, we urge the European Commission to avoid filtering monopolies by companies this directive actually intended to regulate. We call on the European Commission to promote the dissemination of Free Software filter technologies, including financial support, for instance within the framework of research programmes Horizon2020 and Horizon Europe.” says Alexander Sander, Policy Manager of the Free Software Foundation Europe. 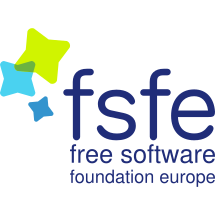 The Free Software Foundation Europe and Open Forum Europe started a campaign to “Save Code Share” in 2017. More than 14.000 people supported our call with an open letter which requests EU legislators to preserve the ability to collaboratively build software online in current EU Copyright Directive proposal.